a difference. Their intrepid tribe manages to look good whether at work or play, and believes a sense of style and a sense of humor are perfect complements. 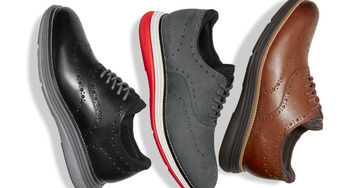 Click a Coupon or click Start Shopping to earn 1% Cash Back at Cole Haan.